advancis® Smart Internet Solutions. Ingeniosity meets Technology meets Simplicity to bring you clever ways to communicate with your visitors for less. Digital Brochures. Reinvented. Again. advancis has been producing quality digital brochures since 1999 ... and reinventing the concept ever since. Today, we are introducing a completely new concept, packed with features that make a lot of sense given the popularity of social networks, mobile apps and tablets. The new digital brochure has been developed from scratch. Everything has been literally reinvented. Mobile brochures are no longer an afterthought, text is finally legible on all screens, and the reading experience is unparalleled. If you have been disappointed with PDF converters, we invite you to discover a completely different solution. You will be surprised what can be done with today's technologies. Entertainment meets Technology. Discover the full range of services that can help you take advantage of the exploding mobile games segment. Powerful eBrands can distinguish products, increase margins and improve a company's chances for survival. 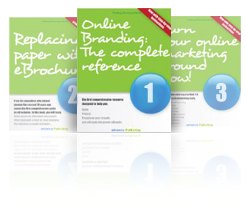 Want to know how to build an eBrand? Details are presented in the eCenter. The new advancis books are now available! From eBranding to online marketing campaigns, we have made the entire collection of advancis books available for your iPad, Kindle, Nook or android mobile device. New! Push Notifications for web sites. Affordable Responsive Web Sites for Small Businesses. 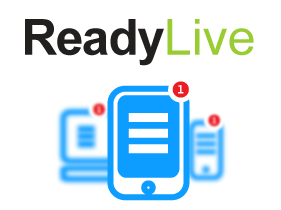 One site ... and you are SmartPhoneReady, TabletReady, DesktopReady, RetinaReady, Social NetworkingReady and Modern BrowserReady. 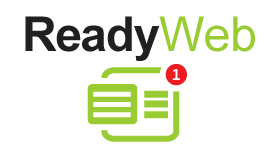 Designed for modern browsers, ReadyWeb Responsive web sites represent a cost-effective way for small businesses to compete in an App-driven market. Before it was cool, we knew. Did you know that advancis started building apps for the iPod back in 2004? Join one of the pioneers in mobile app development and start taking advantage of new and fun ways to reach your audience.